Poly bubble wrap provides excellent protection for shipping and storing fragile, breakable products which is why it is one of today’s most popular packaging materials for those who are storing and shipping. Poly bubble wraps and bubble bags provide superior cushioning for fragile items to keep them safe from shock, abrasion, and breakage. Aside from the superior protection bubble wrap offers, it is also inexpensive and offers other numerous advantages. Polyethylene bubble wrap and bubble bags in Newton, MAare manufactured from high quality, low density polyethylene. This provides better tensile strength and puncture resistance for more efficient cushioning of shipped and stored items. Also, bubble wrap is lightweight so it does not increase freight charges for shippers. As a result, they are able to save money on shipping costs as well as build a good reputation from clients for delivering packaged items in perfect condition. 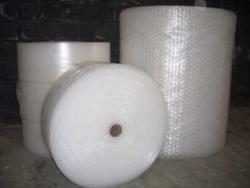 Plastic bubble pack comes in rolls, bags, and sheets and is generally available in different types and sizes. This depends on the size of the product being packed, as well as the level of cushioning protection needed. Additionally, bubble wrap and bags are recyclable and reusable making them an excellent and cost-effective packaging material. To find out more about how bubble wraps and bags can be helpful in your business, contact Atlantic Poly.